Please excuse the cheesy title but after that AMAZING opening ceremony I am very much in the Olympic spirit. 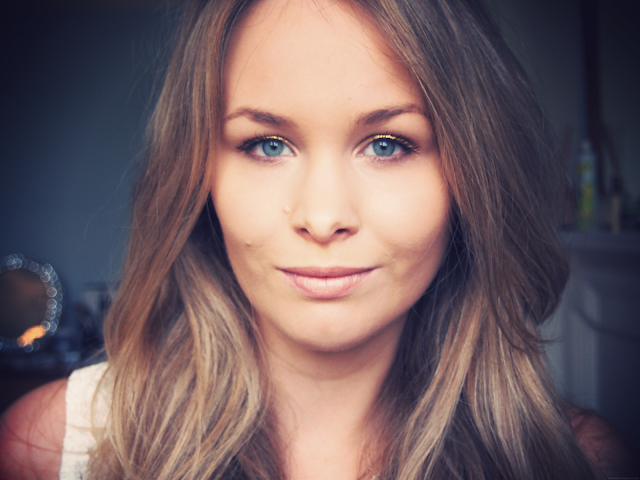 So here is my tribute, an experiment into gold/bronzy eye make-up. Normally I only ever wear neutrals and browns on my eyes so this is quite a leap for me. I used my MUA palette and a lovely w7 gold liquid liner for my lids and a No7 brown eyeliner for the lower lash line. I was surprised by how well the liquid eyeliner stood out, it looked like gold foil which was pretty cool! I was also trying out a W7 mascara which I will be doing a proper review on shortly. P.S please forgive my shambolic looking eyebrows. love it :) looks really nice!